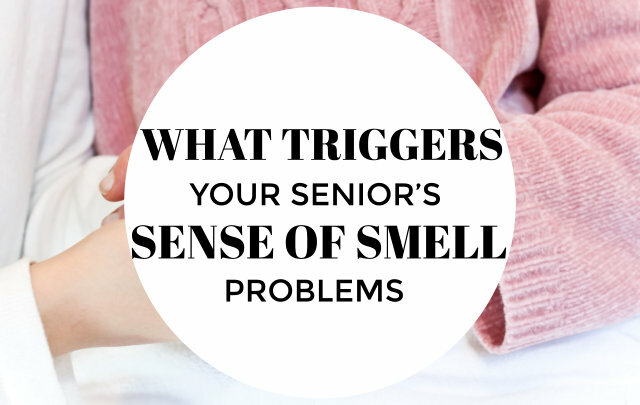 Aging can be one major factor that triggers the changes of your seniors’ olfactory system. In fact, age-related changes are very common but also over-blamed for older people’s health problems. Blaming everything to aging means you are rejecting the possibility of a much more serious underlying cause of the problem. A smelling disorder can often develop to older people ages 60-69. Healthcare professionals of Medscape.com revealed that the best data available of people who reported smelling problems were about 2.7 million in the U.S. of which is still a 1994 survey. This number could have increased up to now. American Safety Options, Inc., a trusted home health agency in Newtown Square Pennsylvania, believes that family members should be fully aware of the possible major sources of what could be triggering the decline of their sense of smell. But how do you know if your elderly loved ones are struggling with smelling given that historically speaking, smell disorders have been difficult to diagnose and treat? The signs of a smelling disorder could affect a person’s perception of odor or even cannot detect an odor at all. For instance, a flower’s scent may be distorted for a person with a smelling disorder or cannot smell an apple pie on the table. People with smelling disorders cannot accommodate a familiar scent which could lead to more problems in the future. Given that the person could not smell anything at all, the brain might not be able to comprehend the situation of the person. Our sensory systems are like the detectives of our body that scrutinizes and gives proof to our brain that the things we see, feel, taste, hear, and smell are safe for us. Hence, if one cannot smell the food properly, this could lead to malnutrition and other health problems to elders. Healthcare specialist, John P. Cunha, explained in his Smell Disorder Facts that a smelling problem always play well along with a chronic medical condition such as hypertension, Alzheimer’s disease, Parkinson’s disease, and other diseases of the nervous system and so on. If you have an elder who does not have a chronic condition but has reported smelling problems, consult your doctor and get care from your home health agency in Newtown Square Pennsylvania today. Smelling disorders do not have specific treatments and medications. However, elderly people are prone to have this sensory problem because they are fond of having multiple medications. Antibiotics and antihistamines have side effects that can impair the sense of smell. Have their medicines reevaluated again for further adjustments. Smoking is widely known to be dangerous for one’s health; so, if your elderly is experiencing problems with smelling and they have been smoking for a long time now, then it is no surprise that smoking have actually weakened their ability to smell. Actually, this problem is only one of the many effects of smoking in the body. If your elders have experienced an automobile accident before or have fallen from a slippery floor or loose flooring and the head was seriously traumatized, then there is a huge possibility that the olfactory nerves are physically damaged or worse, cut. Report to your doctor any problems with the face and head. Seasonal nasal congestion and other allergies can cause a smell disorder. Allergens like grasses, pollen, ragweed, and pet dander are the most common causes of allergies among elders; so, ask your doctor if you can reduce the effects of the allergies on them. Get help for your elderly loved ones today! Call American Safety Options, Inc., a trustworthy home health agency in Newtown Square Pennsylvania!